Discussion in 'General Discussions and Intros' started by Jonathan, Jul 17, 2015. Hey everyone. My name is Andrew. I fly a Mavic Pro around Europe and Asia just for fun. I really enjoy finding good shots and exploring new areas. Still working on improving my skills in flight and video editing. Here is my latest video filmed at Lago Di Barcis in Northern Italy. Alex Schootz, liamlogan, Utsav and 2 others like this. Hey Utsav, what is drone manges? Hey Thomas, does the trackimo work well? I love Drone technology researching in it to provide and make the smartest Drone possible. I love Technology. I think Drones are the future Which make Business and lifestyle easy. Hello man, i am also new here and just got my account approved. Hello asji89 and new people to drone minds. Hi everyone,this is Eva from Yowoo Technology co. ltd.,happy to see you all. Hello Eva, what does Yowoo do? Hi,thanks for asking, Yowoo Electronic Technology Co.,Ltd concentrates on manufacture Lithium Polymer Batteries. Thank you for joining us and becoming a Drone Mind. Whether you're totally new to drones, a drone expert or somewhere in between, a drone event organizer, a drone trader or simply looking for help with a particular drone-related issue, we hope that you have a good experience on our forums. 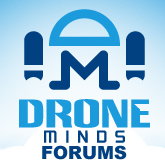 The Drone Minds Forums are for Drone Minds like you and me to share experiences and have fun. 3. Have a great time, share your drone videos, pictures and experiences, or ask anything you want about drones! Hello to all my new Drone Buddies! I am just getting started in the drone world, so I signed on to learn from you. Hello Carol, nice to meet you. Hi thanks for the invite. I'm excited to be a part of this community! I love seeing people's aerial videos and pictures from their drones. I'm a drone enthusiast and I started a guest friendly site about drones. Hey Alex! Your site looks kinda cool. I think its ok to link to it from here so long as you post other stuff and not just use this place as a spam platform! Hi. Neville here. New to fpv. Nice to meet everyone.